Ruinart Champagne Tour in Reims France was all made possible by my cousin who lives in Reims. 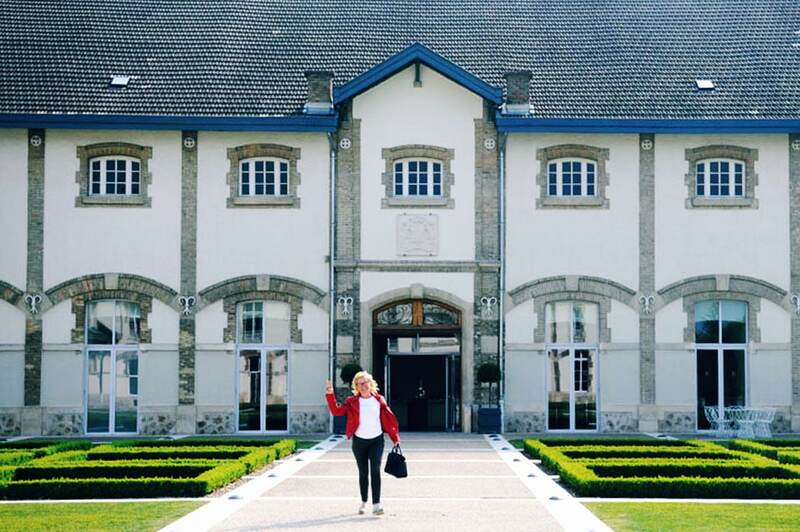 We went to the first Champagne House in the world, The Crayéres of Ruinart. 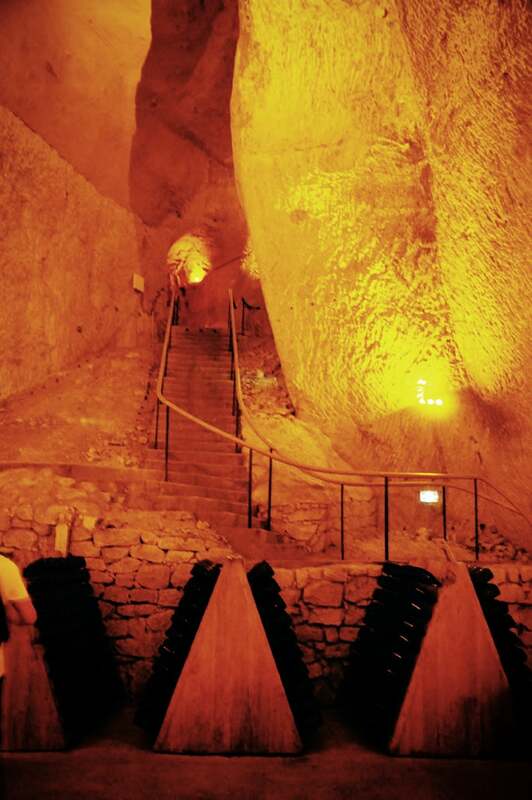 Originally carved as quarries in the Early Middle Ages, the crayères, which are chalk caves, is where Nicolas Ruinart, a Reims draper who founded the world’s first Champagne house, aged his wines. 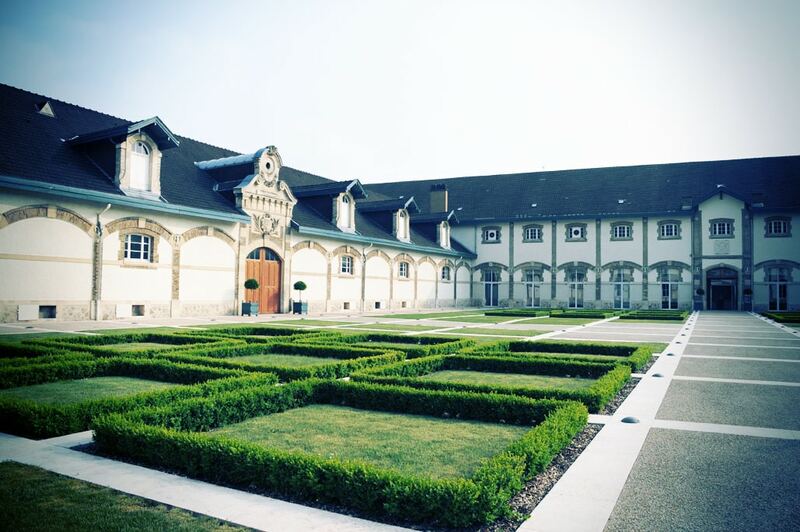 This one of kind Champagne house was founded in Reims in 1729. 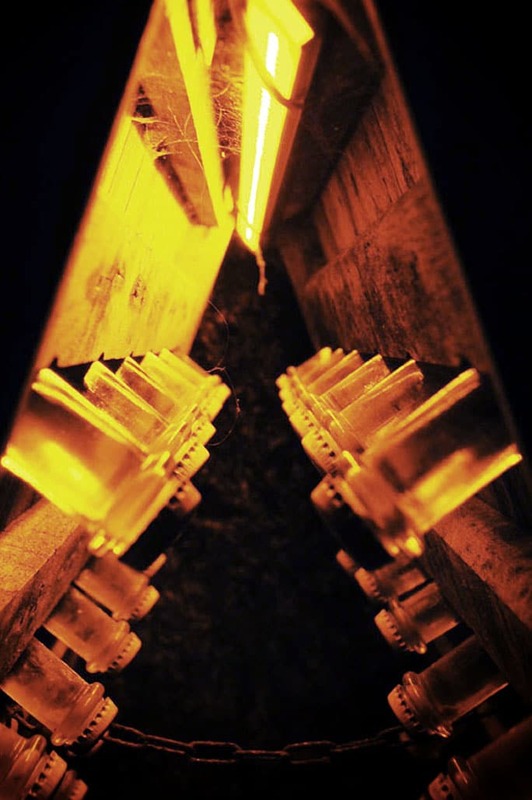 UNESCO named the Champagne region’s crayères a World Heritage Site, citing the “underground heritage” of winemaking. 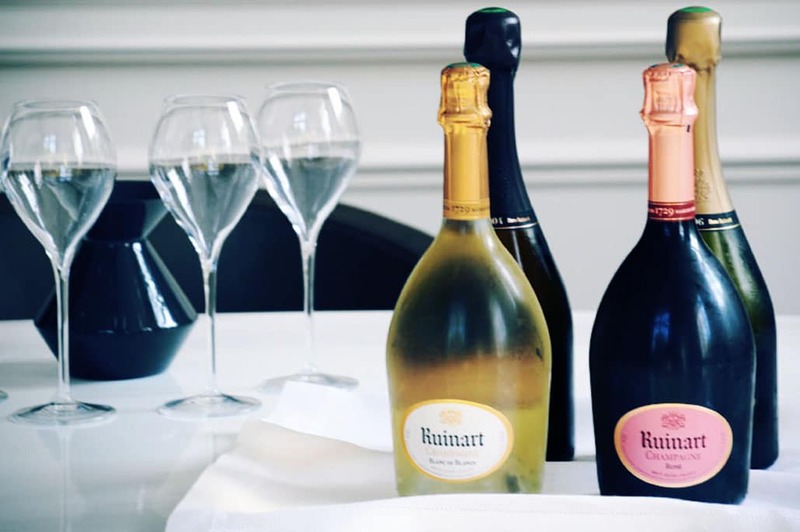 Which has increased tourism to the Ruinart Champagne Tour in Reims France. 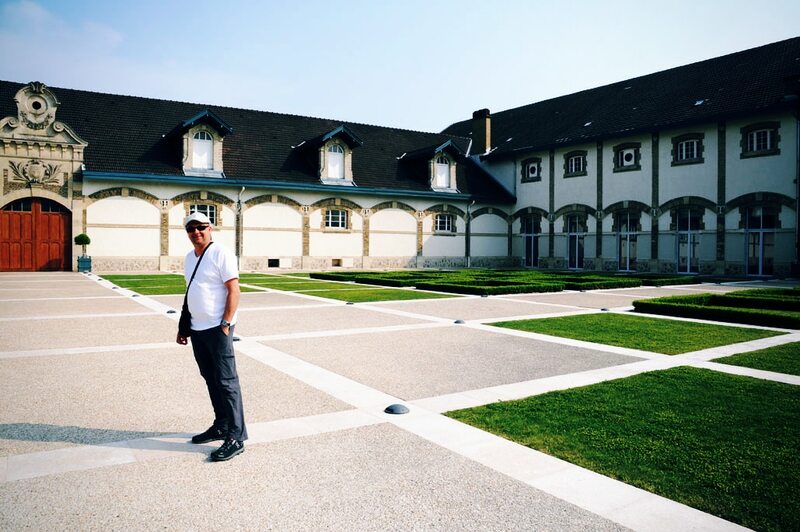 Jeff waiting patiently for the Ruinart Champagne Tour in Reims France. My cousin, who made this all possible, for our private tour. 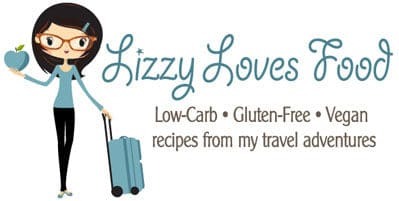 She is a professional wine taster and deals with all the champagne house around Reims. 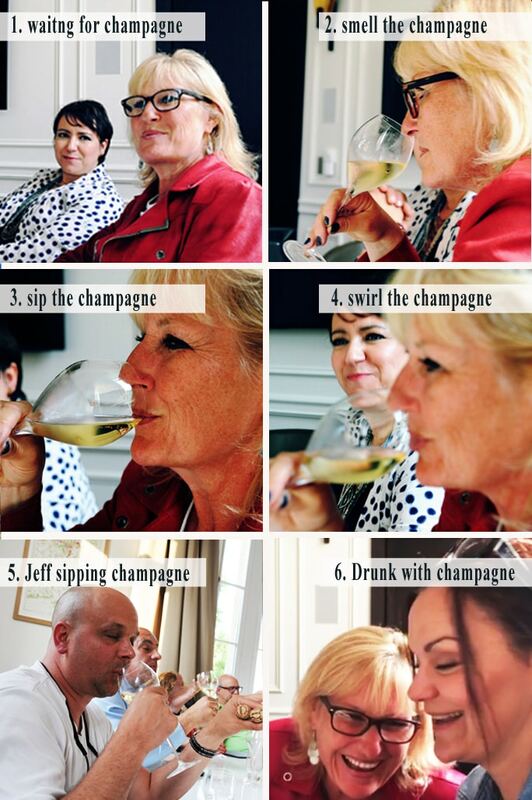 So basically people call her to taste the collections of champagne. Jeff and I were surprised to see how serious this all is considering that 2 drinks and I fall asleep. Reims, France takes great pride in their Champagne Houses. They drink it morning, noon and night it seems, where Americans drink it for special occasions. It is custom in the area to serve it before dinner and when company comes to visit you at home. The people of Reims are very privileged in this area because it is much cheaper to buy in the region. 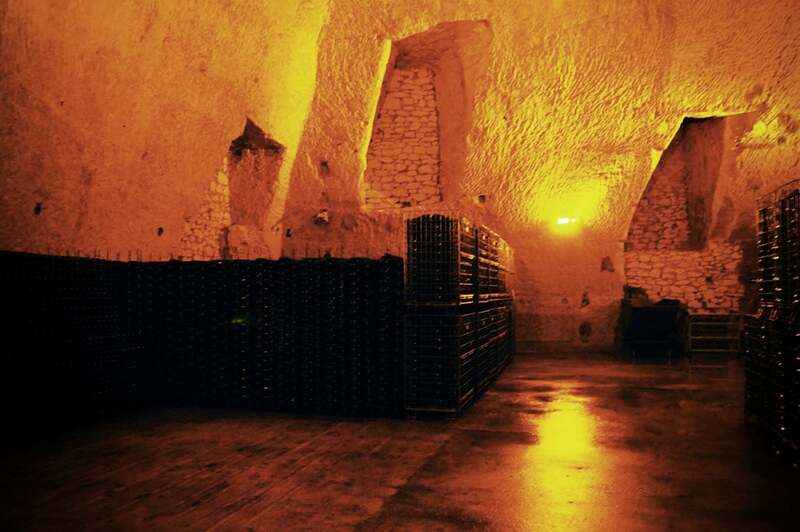 Ruinart Champagne Tour in Reims France began with a brief history of Nicolas Ruinart and the cave. 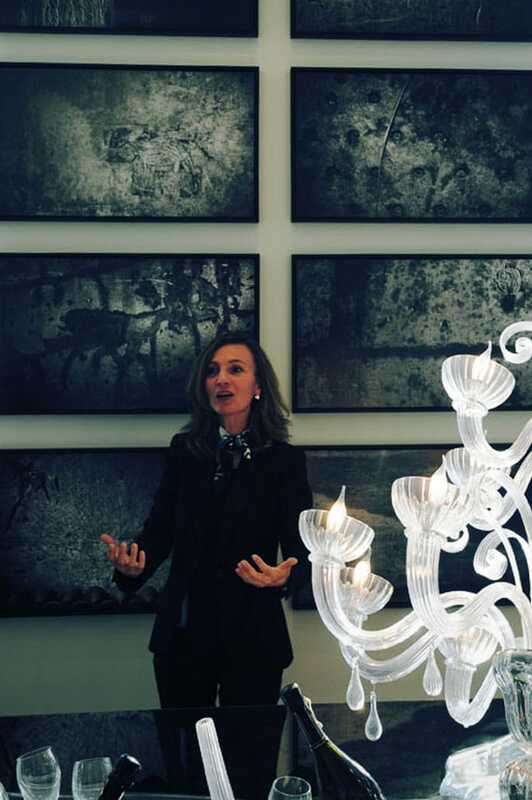 The entrance on the first floor is filled of art work that reflects the caves and the champagne. 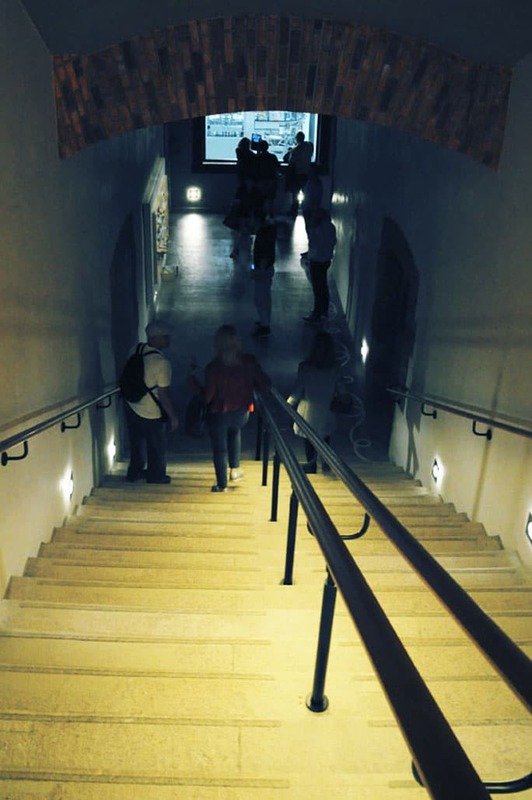 You are guided to the staircase to go to the caves. It begins to get cooler with each step. Once you get to the cave the stairs have been carved out from the stone. 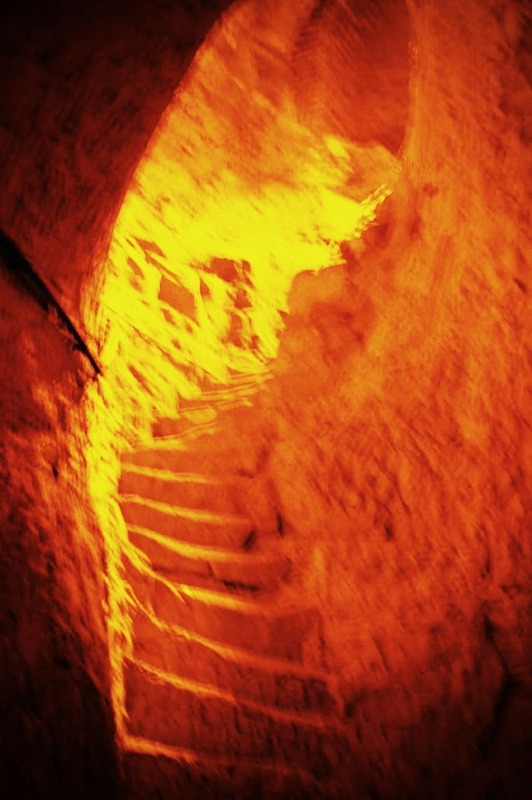 There are 139 brightly lit stone steps into a five-mile network of intersecting tunnels and enormous carved-out rooms which is 125 feet below ground. The caves are about 54 degrees so you will feel that temperature drop when your walking around.The minimum for vintage cuvees is three years. 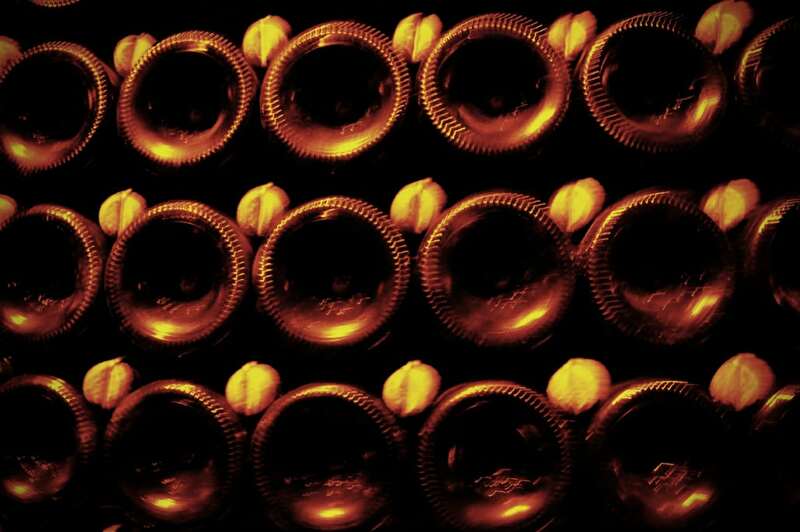 Most Champagne wines are cellared for much longer and 2-3 years for non-vintage wines. For vintage Champagne it takes about 4-10 years. 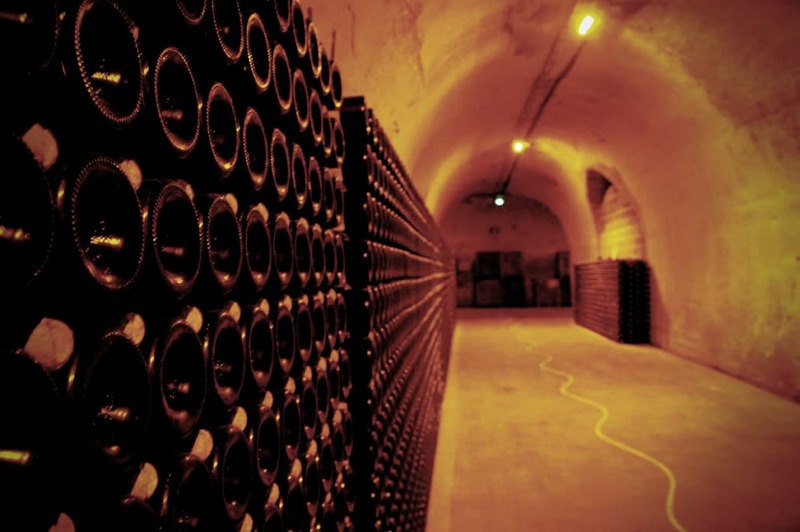 It is extradinarty to see that the champagne is still made and preserved the same as it was 350 years ago. 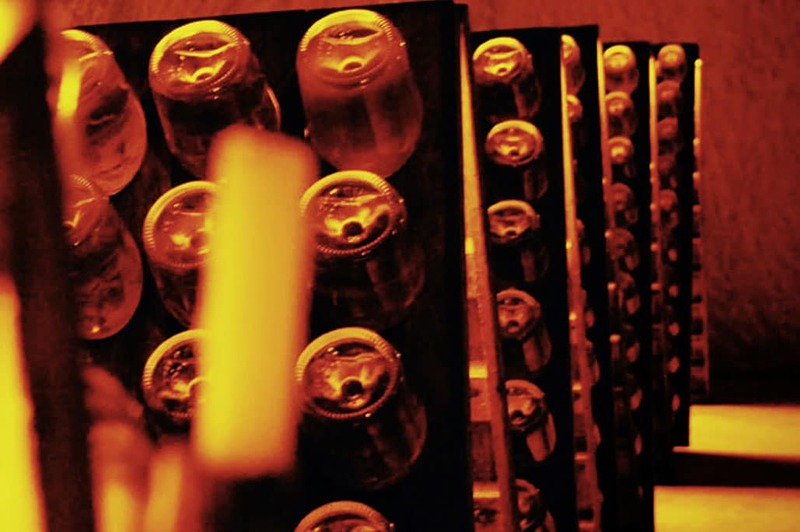 The turning of the bottle still takes place with 40 employees to take care of Ruinart Champagne. 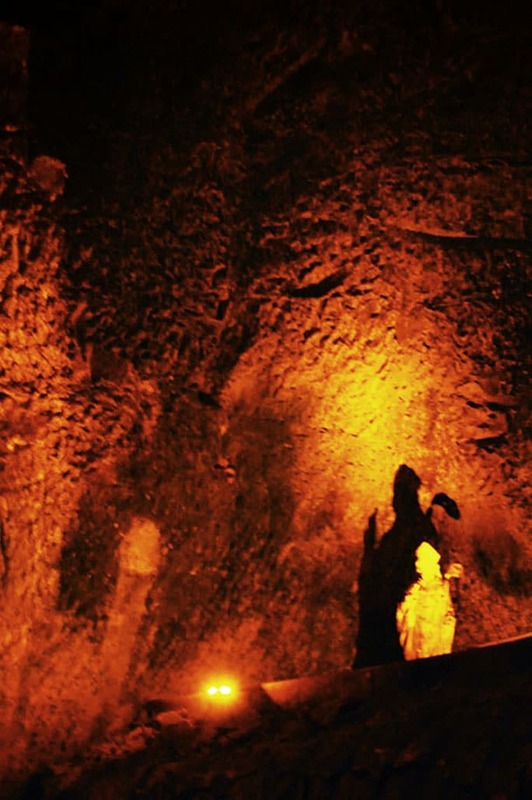 There is a moisture in the cave that you feel and will see on the walls. 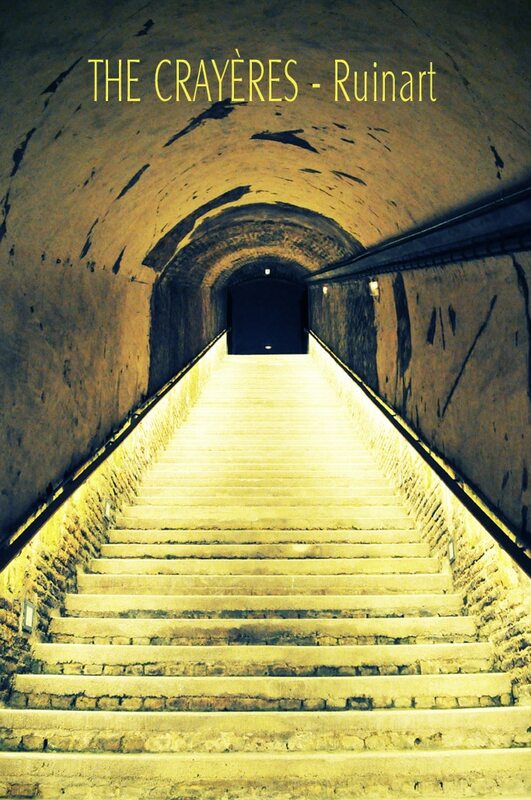 As you walk the tunnels, you witness thousands of champagnes all tucked away in there caves. The buyers that we were with were very interested at this time to taste the latest harvest. I guess for a champagne lovers, the mouth must begin to salivate. 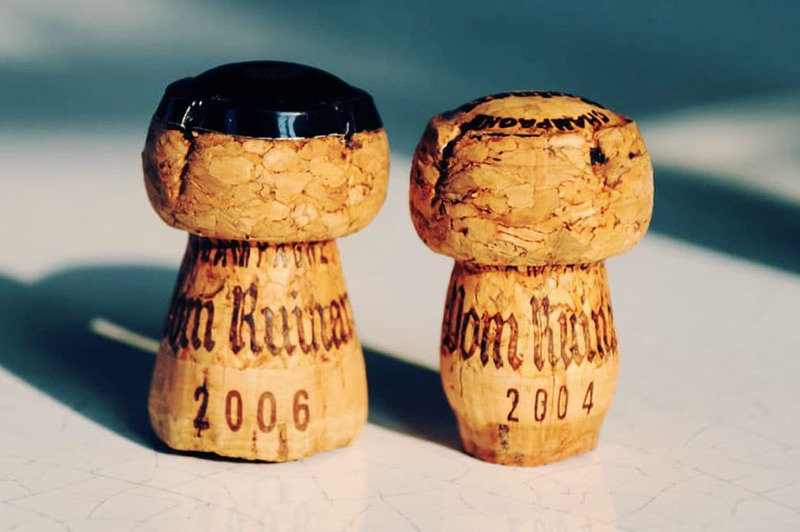 One of the buyers tells me that the cork will always tell you the quality of the champagne. The cork on the left is from the $40 bottle and the one on the right is $380. 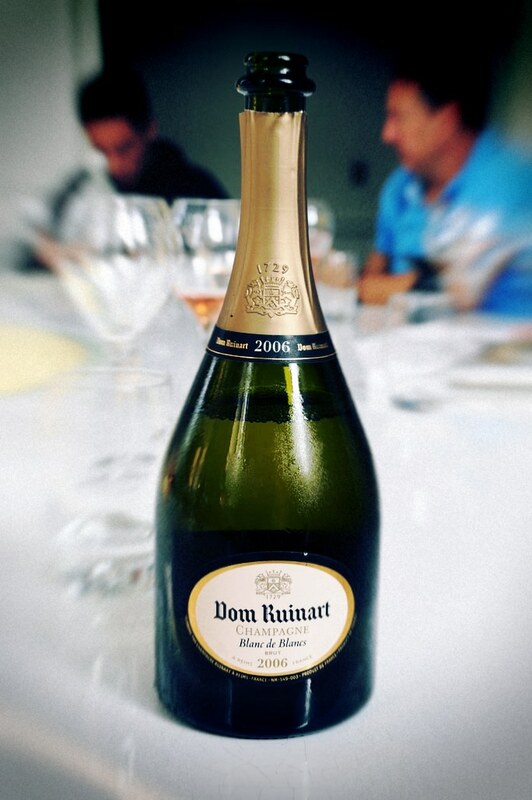 The Dom Ruinart was my favorite and it was not the most expensive of them all. My cousin tells me that you have to have a developed pallet to love older wines and champagne. The other thing I noticed is buyers were closing there eyes to taste. The gentleman tells me it will highten the pallet to taste and concentrate on the flavor. I closed me eyes and just wanted to take a nap from all the drinking that I had already done. By the end of the drinking I did feel like my head was spinning. I was definitely a little drunk after 4 glasses of champagne not to mention what I had for lunch. As for Jeff, he was a pro, like he had been a wine taster all his life. The Reims area is lovely and there is plenty of places to stay. I recommended staying close to town so you can walk around and tour the area. Domaine Les Crayères – a luxury hotel and gourmet restaurant in a classic French chateau in Reims. Very expensive but absolutely beautiful. Hôtel Centre Reims – Best Western – my favorite because it’s right in the middle of town where you can walk to restaurants, shops and attraction and they have a trolly that goes all along the street. Buy your tickets before you leave to visit. The tours will fill up fast and are not open year round. The best time to visit is April to October. Your tickets per person 70,00€ with a tour group. The tour will take 2 hours. To buy tickets >> https://www.ruinart.com/en-GB/products. If you are coming from Paris, take the high speed train to Reims. From the Charles de Gaulle Airport, the train ride is about 45 minutes. You can take the modern train, Quigo and arrive at the Gare Champagne-Ardenne. Cabs are out front and a 10 minute ride to downtown Reims.